Will Silver Top $30 By The End Of November? One day after the October 26 statement by Bart Chilton, a commissioner of the Commodity Futures Trading Commission (CFTC) alleged that the silver market has been manipulated, two significant lawsuits were filed against JPMorgan Chase and HSBC for the actions that allegedly suppressed the silver futures prices and earned those banks substantial illegal profits. The cases are Beatty v. JPMorgan Chase & Co et al, US District Court for the Southern District of New York, #10-08146, and Laskaris v. JPMorgan Chase & Co et al, US District Court for the Southern District of New York, #10-08157. Although anyone can file suit against anybody else, neither of these two lawsuits are frivolous. The two law firms who filed the suits have impressive resumes. The firm of Labaton Sucharow LLP was the co-lead counsel in the case In re Natural Gas Commodity Litigation which involved manipulation of natural gas futures on the New York Mercantile Exchange by dozens of large energy companies. The settlements reached in 2006 and 2007 totaled almost $101 million, which is the second largest class action recovery in the 85 year history of the Commodity Exchange Act. Five months ago, the law firm settled a lawsuit against Countrywide Financial Corporation and the accounting firm KPMG for a total award for their clients of $624 million. The other law firm, Lovell Stewart Halebian Jacobsen, recovered $76.5 million in 1997 from Merrill Lynch Fenner & Smith, Incorporated et al, which was the largest settlement of a class action claim under the Investment Company Act. In 1998, the firm recovered at $1.027 billion cash settlement against the NASDAQ over price-fixing charges under the Sherman Antitrust Act. This was the largest recovery in more than 100 years of state and federal antitrust laws. Then, in 1999, the firm won the largest recovery in the history of the Commodity Exchange Act when it settled claims for manipulation in copper futures for $145.35 million. Just from these few examples, you can see that the attorneys for the plaintiffs in these cases mean serious business. The firms are so successful that they can pick and chose which cases they will handle, which means they pretty much select only those that they are almost certain to win. As Chilton’s remarks and these lawsuits received growing reporting by the mainstream media, the silver markets started to rise. 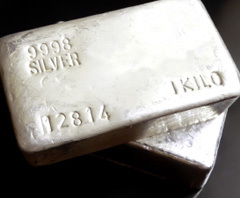 The price of silver closed Friday more than 6% higher than it did a week earlier, despite indications of the continued increase of short sales on the COMEX. This increase also occurred in spite of the obvious recent efforts to suppress both gold and silver prices before next Tuesday’s elections. What the mainstream media did not report is that Labaton law firm has been in regular consultation with Adrian Douglas and Andrew Maguire since May, digesting evidence gathered over the past 11 years by the Gold Anti-Trust Action Committee (GATA) (http://www.gata.org) about the manipulation of the gold and silver markets by the US government and its trading partners and allies. 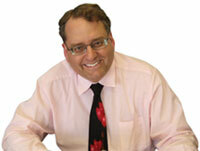 Douglas is an analyst of the gold, silver, petroleum, and copper markets using his Market Force Analysis methodology (http://www.marketforceanalysis.com). He also is a member of the board of directors of GATA. Andrew Maguire used to be a metals trader for Goldman Sachs in London where he was told by JPMorgan Chase silver traders just how they manipulated the market to make profits. Maguire first contacted the CFTC in November 2009 to blow the whistle on JPMorgan Chase’s silver market manipulations and was repeatedly pretty much given the brush off by CFTC investigators. In March 2010, Maguire contacted Douglas with the same information that he had submitted to the CFTC along with copies of the email exchanges and recorded telephone conversations that Maguire had with various CFTC personnel. Douglas was able to put this information in the official CFTC record during the Commission’s public hearings on March 25, 2010 to discuss possible manipulation of the gold and silver markets. The GATA website has substantial source documentation available and also links to the CFTC website where you can view the March 25 testimonies. On Thursday, October 29, James Turk, founder of GoldMoney and a precious metals analyst with substantial past experience working for central banks, predicted that the price of silver will top $30 within 18 trading days. Turk is a careful and methodical researcher, and is generally quite conservative in such forecasts. The last time he made such an extreme short term forecast, he was off—by 48 hours. Turk argues that the price increases will accelerate as holders of silver short contracts become more aggressive at buying silver to cap their mounting losses. Unfortunately, for the economy as a whole, I think Turk has more than a 50% likelihood of being correct in his prediction, though it may take a few more days than he projects. In the month of November, there are two dates around which the US government and its trading partners have regularly tried to suppress gold and silver prices. On Friday, November 5, the next monthly jobs and unemployment report will be released. On Tuesday, November 23, the COMEX December gold and silver options will expire. There is also the Federal Open Market Committee (FOMC) meeting that will finish on Wednesday, November 3, which has also often been a time of frequent precious metals price suppression. However, this time should be different as it is widely expected that the FOMC will announce another round of quantitative easing (inflation of the money supply), which will hurt the value of the US dollar. There is also the possibility that the US government may try to pull something over Thanksgiving weekend, as it is easier to manipulate markets on days where trading volume is thinner, which typically occurs just before long holiday weekends. However, I think there is a strong likelihood that that none of these standard price suppression times will succeed in November. Demand for gold and silver is soaring, with several dealers especially reporting that they have nearly exhausted their silver inventories. By November 5, I would not be surprised if purchasing immediately available physical silver will become a real challenge. If gold and silver prices are rising upon the release of the jobs and unemployment report, don’t look for any price dips on November 23 or over Thanksgiving weekend either. Okay…so what are the odds that these lawsuits are settled and the price manipulation just continues? In other words, will lawsuits permanently end price manipulation by these banks? J P Morgan must settle the lawsuit with silver rather than paper dollars. Jim that’s a great idea but the Morgans have more pull in this country than anybody could ever know. Look at our history they help close our small banks in the 1920’s ,created a problem and bought up all small banks after the market crash (they are so helpful). The same they did last year over a weekend,(they are so helpfull) old habits are hard to break. Asking JP Morgan to pay in silver WOW . My question is all this money being printed for circulation to help the public the last 10 years Bush/Obama ,,,WHO GOT THE MONEY FIRST.. Fed had to go to someone first and it was not me.. I thought everyone in the world knew that the precious metals market is hugely manipulated, over ETF paper sold, and naked shorted by the corrupt banks. I mean just common sense would shine a huge bright light on to the manipulation. I mean how can several tons of gold & silver be bought, and sold everyday and then transferred to vaults across the markets for physical holding? Who is moving all of the physical metal daily, that SLV, and GLD is supposedly holding? Who physically inventories these massive shipments daily down to the troy ounce to each vault location. If you ever read the SLV prospectus, you would never put a fiat dollar into that paper promise. You see the SLV & GLD ETF’s themselves are part of the paper gold and silver manipulation scheme.